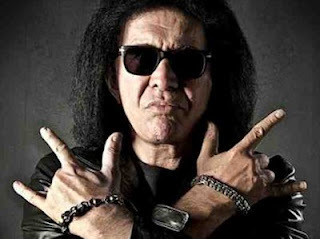 The Friar's Club wants nothing to do with KISS rocker Gene Simmons. The famed group had planned on hosting a roast of Simmons on March 2 but, in light of the recent revelation that Simmons had groped an unnamed female last month at one of his restaurants, they have cancelled the event. Ironically, Simmons had been chosen after the group had cancelled the roast of the original honoree, Harvey Weinstein. This is not the first situation that Simmons has gotten himself into in the past month. After a Fox News interview, he barged into a business meeting at the Fox offices and made a number of questionable comments causing him to be banned from the network and the building. He also has reportedly had an Australian news reporter walk out of an interview after he made uncalled for comments. A board member for the club told The Daily News "In light of recent developments, and after careful consideration, the Friars Club has decided to cancel its roast of Gene Simmons effective immediately."